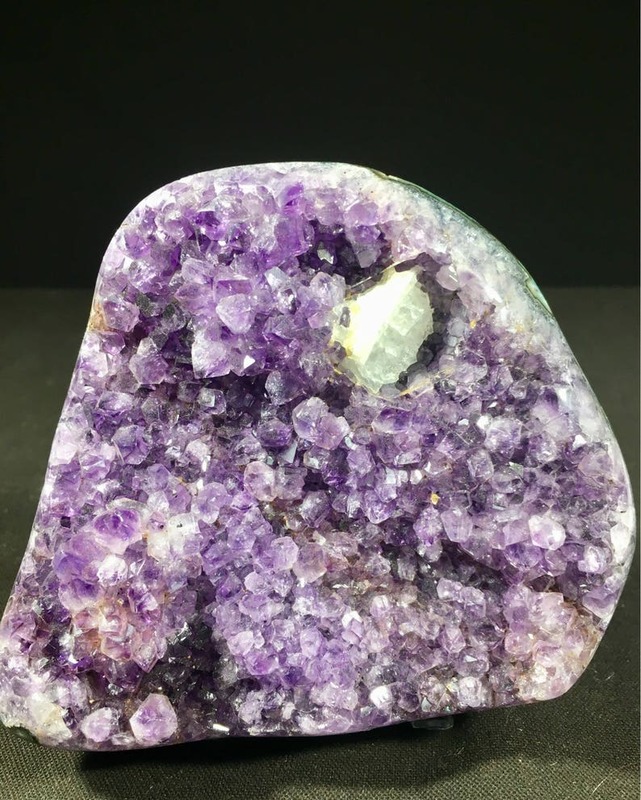 Beautiful polished Brazilian Amethyst druze. This beauty fits perfectly in your hand and has been wonderfully polished/finished please note the base is raw vs cut. This created a beautiful contrast in hand. The crystals are well formed and beautifully terminated and have a wonderful luster and brilliance. There is a really cool calcite incision on the edge of this piece. This piece would make a wonderful addition to any collection or special space. This piece measures 4.5 inches long and 4.5 inches wide.